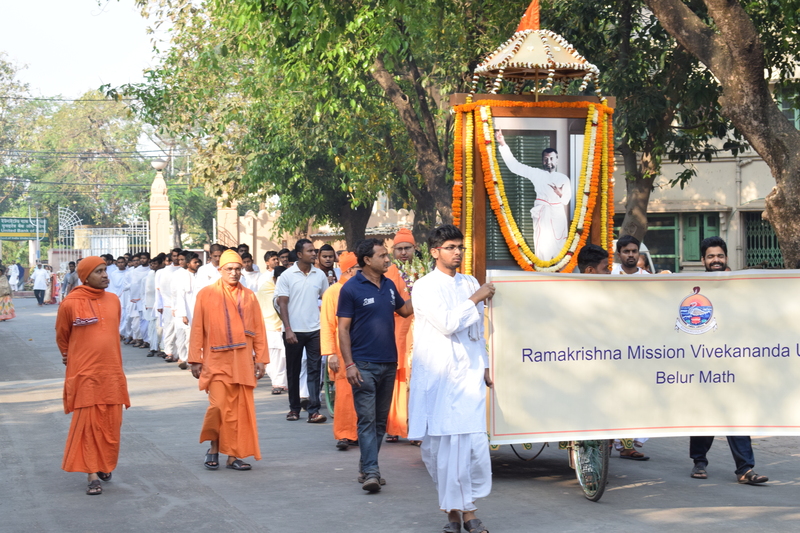 Belur Math houses the headquarters of the Ramakrishna Math and Ramakrishna Mission (RKMM), under whose guidance and overall administrative control all the branch-centres of RKMM function. The actual implementation of policies adopted by the headquarters as well as activities flowing therefrom are for the most part supervised by the heads of branch centres who are appointed by the headquarters. 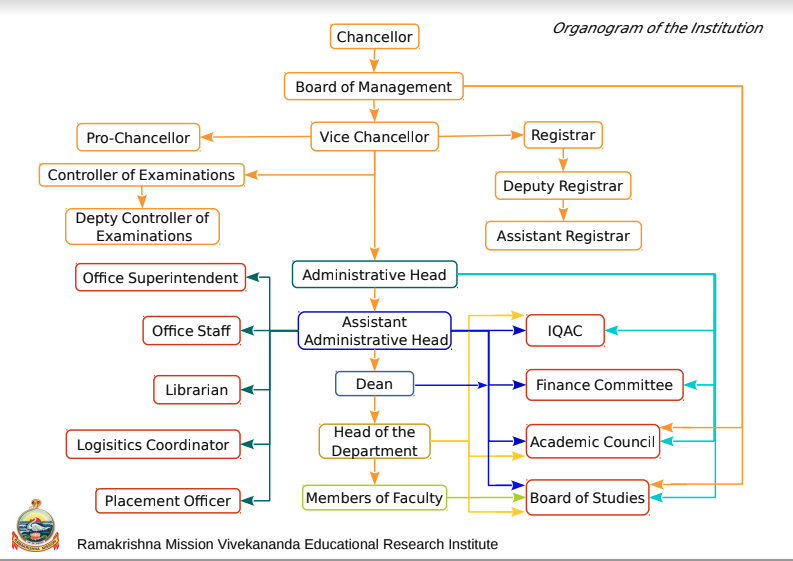 Consistent with this administrative structure, Ramakrishna Mission Vivekananda Educational and Research Institute (RKMVERI), with its head office located in its Belur Math campus, is administered through the following tiers: The Chancellor, being the General Secretary of RKMM ex-officio, is at the helm of affairs of the university as the President. The Chancellor’s Representative, who is an Assistant Secretary at the headquarters of RKMM, is to be the second-in-command to assist the Chancellor in the administration of the University. The Vice Chancellor, who will usually be a qualified and competent monk of the Ramakrishna Order, appointed according to University Grants Commission (UGC) guidelines, will be in charge of the day-to-day administration of the University and all its academic programmes and activities. Administrative Heads of the various off-campus faculty centres of the university, who will be the ex-officio heads of the branch-centres in which the faculty centres are located, will be in charge of the day-to-day administration of the respective faculty centres.